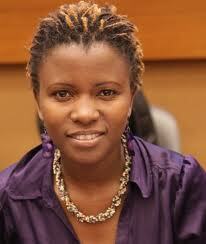 Rosebell Kagumire is a Ugandan multimedia journalist working on peace and conflict issues in the Eastern Africa region. She is the coordinator for Africans At 4 Africa, a network of citizens and activists whose main objectives are to create an Africa where Africans drive the solutions to the continent’s problems and to determine African citizens to put pressure on their various governments to implement responsible policies. Rosebell stresses that her organization aims to “advocate for increased responsibility of African governments in African conflicts, disasters and other emergency situations.” The organization was formed in 2011 with the goal of galvanizing the voices of African citizens to respond to the Horn of Africa food crisis quickly and efficiently. Since then, the network has initiated other campaigns, focused primarily on the Great Lakes Region and Eastern Democratic Republic Of Congo (DRC). Rosebell has also worked as a communications assistant at Isis-Women’s International Cross Cultural Exchange (Isis-WICCE), where she published several articles on women in Uganda, South Sudan and Liberia. In 2009, Rosebell’s blog received the Waxal – Blogging Africa Awards hosted by Panos West Africa. In 2010, Rosebell was selected as a VOICE fellowship blogger to write about the Millenium Development Goals. The young journalist is also an author for Global Voices, where she writes about social media and the trends in Uganda that young people are talking about. Rosebell believes that, in order to promote human rights and the rule of law, special attention must be given to the young populations, which in countries, such as Uganda, represents a significant proportion of the overall population. The young Ugandan regularly critiques media narratives on Africa. Her critique of Invisible Children’s Kony2012 campaign draw global attention to real problems facing Ugandans. More than 600,000 viewers watched her Youtube video on the matter. She studied non-violent conflict at The Fletcher School of Law and Diplomacy at Tufts University and has worked as an Internet Freedom Fellow with U.S Department of State Human Rights Program aiming to promote the work of online activists and journalists to enhance human rights coverage.